Can your pet rat be a vegetarian? Increasingly, humans are exploring meat-free options, for a sustainable diet, with the Telegraph (18.05.16) reporting a 360% rise in veganism in the UK over the past 10 years. 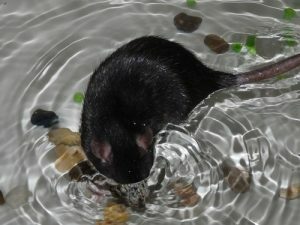 Many pet rat owners, are beginning to consider whether they can ethically feed their rats a vegetarian (or even vegan) diet. Raising vegan babies requires special consideration. There is absolutely no reason why rats can’t be vegetarian, and little reason why a vegan diet couldn’t also sustain a healthy pet rat. The main phase of life that requires special consideration is during reproduction, lactation and rapid growth out of infancy. A wild rat will eat almost anything and the proportion of animal based protein eaten will vary by habitat. It has been noted that – dependent on location – rats will eat primarily grain based diets, just as readily as feasting freely on tiny fish, seabird eggs or mollusks. However, wild rats are described as eating everything from carrion to earthworms, and insects to cat faeces! There’s definitely the full omnivorous spectrum represented. Regardless, their delight in most food is so strong that it’s unlikely a rat would suffer any loss of pleasure, enrichment or nutrition by being vegetarian. A vegetarian pet rat would most likely be fed on a great grain mix, which could be straight grains, or perhaps a suitable muesli-style rabbit food with extras added. This kind of diet should include grain, seeds, legumes, herbs, vegetables and a little fruit and nuts. Extra protein would be available from eggs, while reproduction and growth could also be supported with Lactol (puppy milk). The usual concerns for human vegetarians are in meeting essential amino acid (protein) needs, omega-3 fatty acids, vitamin B(12) and D, calcium, iron, and zinc. Lets look at these in turn for how you will feed your pet rat. All this means is that these can be fed alone as a food to boost protein, perhaps for a sick rat who isn’t eating dry mix. Many plant sources contain all of the EAAs, just sometimes one or more of these is in a small amount that would limit the foods usefulness if they were only eating that food. As it stands, most rats will be having a good mix of grain, seeds and legumes, in which case it is extremely unlikely that they would be deficient in any one EAA. The lesson to take away from this is not to worry about EAA unless your rat’s diet is unusually restricted in terms of variety, and when it is, make sure you include good amounts of one of the foods bulleted above, and/or eggs. Omega-3 fatty acids – no problem here as seeds, such as, hemp and flax are rich in omega-3. Other great vegetarian sources include, seaweed, green leafy vegetables, mung beans, chai seeds, berries and squash. Vitamin B12 – not usually an issue for rats as B12 is produced by bacteria in their digestive tract. This is passed out in the faeces, which are often eaten by the pet rat if they aren’t immediately cleaned up. It’s probably advisable not to clean out litter trays fastidiously if your rats are veggie. If your rats have Dr Squiggles daily essential 1, or any other B12 supplement there’s no cause for concern at all. Vitamin D and calcium – both of these should be added routinely to any rat diet. They will be in commercial feeds and should be supplemented for home made mixes for all pet rats. Iron and Zinc are two minerals essential to a variety of processes in the body, including blood production, transport of oxygen, production of protein, immune system function and fertility. 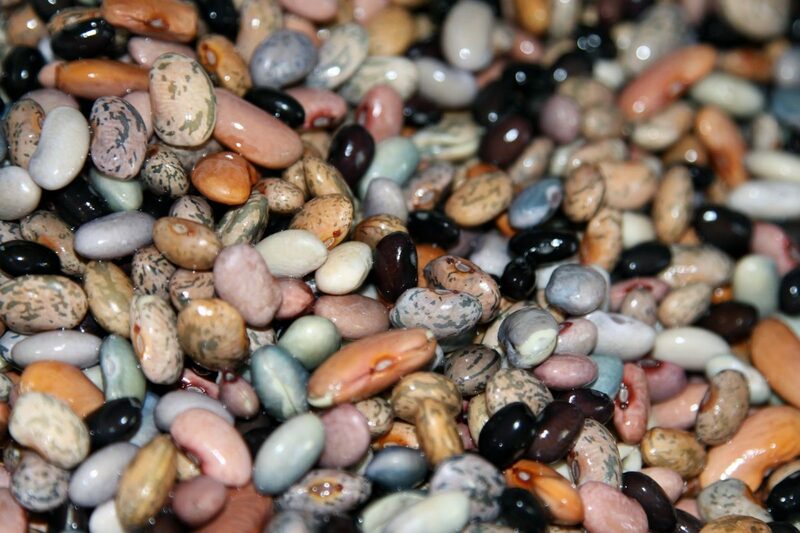 Happily they are both present in abundance in legumes, green leafy vegetables, seeds and some grains and nuts. Not so happily, they are often difficult to absorb during digestion, and in the case of iron, vegetable sources are all significantly harder to absorb than animal sources. This is to do with the presence of antinutrients in plant sources, substances that bind with the minerals so that the body can’t make use of them. Soaking, sprouting, roasting and fermenting, all improve nutrient availability. 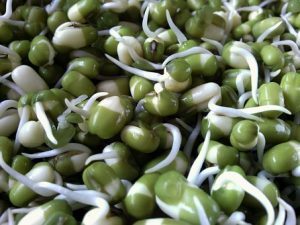 So soaking and sprouting chick peas, for example, is really beneficial in a vegetarian or vegan pet rat diet. In conclusion, your rats can be happy and healthy as vegetarians or vegans. You may wish to use eggs to support nutrition for the very young and when rats are sick. It’s not so much that egg contains more nutrition than plant sources of protein, iron, zinc and so on, just that it is much more easily digested and the protein breakdown does little to increase the toxic load for the kidneys. This also makes it the perfect protein to support kidney disease in older rats . 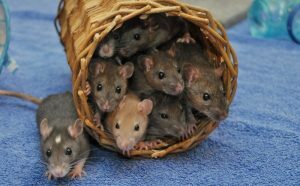 Author Alison CampbellPosted on September 18, 2016 September 18, 2016 Categories Feeding your rat, Frequently asked questionsTags feeding rats, feeding vegetarian diet to rats, pet rat, rat diet, vegan rat, vegetarian rat4 Comments on Can your pet rat be a vegetarian?